Well folks, it’s overdue – and frankly it’s been a long time coming – but the Revolver World store is nearing completion. We’re putting the final pieces of the puzzle into place, and adding all of our goodies to the site. As well as that, we have some exciting custom T-Shirt designs which we’ll be making available on a limited edition basis, some of which have never been available before. Revolver World went to its first Greenbelt festival last weekend – and what a blast! Over a blustery, sunny weekend, we enjoyed some great music (anybody else see Royksopp on the Saturday?) and some fascinating talks from all of the guest Speakers. We’ve been selling our new ranges of Fairtrade T-shirts and Hoodies – the hoodies were literally flying off the racks! 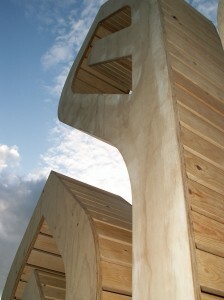 – and a couple of our promotions went down so well we’re considering extending them to online sales as well. Revolver World’s Fairtrade T-Shirts in the news! 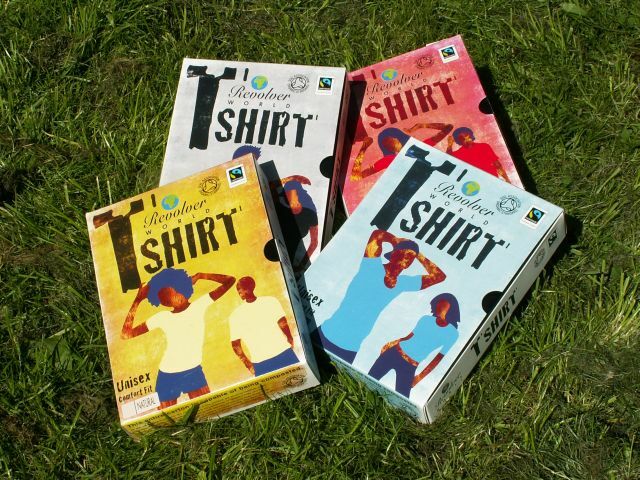 The Midcounties Co-operative is launching organic Fairtrade cotton T-shirts in a box to give a better deal to disadvantaged farmers in India and other countries across the developing world. The retailer is branching into clothing made from Fairtrade certified cotton after several workers suggested it in an internal competition for innovative ideas […] It will sell the T-shirts in 20 food stores to begin with after linking up with Wolverhampton-based supplier Revolver World, a not-for-profit company. The T-shirts are made from organic Fairtrade cotton from farmers’ co-operatives in Southern India and everyone involved in their production are guaranteed a fair price. The carton packaging has a distinctive design which tells the story behind the product. Revolver World staff have previously visited the manufacturers in India to see conditions first hand. Have you bought a Revolver World T-shirt yet? If so, please let us know what you think. Send us a photo of you / your other half / your pet wearing one and you could even get pride of place on our prestigious office Board of Fame! It’s been a long time coming, but they’re finally here: Revolver World is proud to announce the launch of its new range of organic Fairtrade T-shirts! The 100% Organic Fairtrade cotton T-shirts are available in four colours: écru, blue, red and black. Don’t panic, we’re also catering for all body sizes – Small, Medium, Large and XL. You can find more information on the Products page, along with more photos of the T-shirts and purchase information. Just in time for the launch of our Fairtrade organic T-shirts into Mid Counties Co-Ops, our new web site is up and running. There’s a good dea of information on here already, but we have loads more planned. Subscribe to the Revolver World RSS feed to make sure you miss none of it. Why pay more for coffee or bananas? In the UK we are currently paying twice as much as we could on imported goods such as coffee and bananas, and the underlying reason may be surprising to some. Research on immigration and prices in the UK indicates that immigration reduces the average price growth of non-traded goods and services. Moreover, for goods and services produced with low wage, labour intensive technologies, immigration decreases the growth rate of prices. In particular, the paper shows that an increase in the immigrants-natives ratio of one percentage point would lead to a 0.2% decrease in prices of such services. This reflects the occupational distribution of recent immigrants, whereby they concentrate in low-wage occupations in labour intensive sectors.